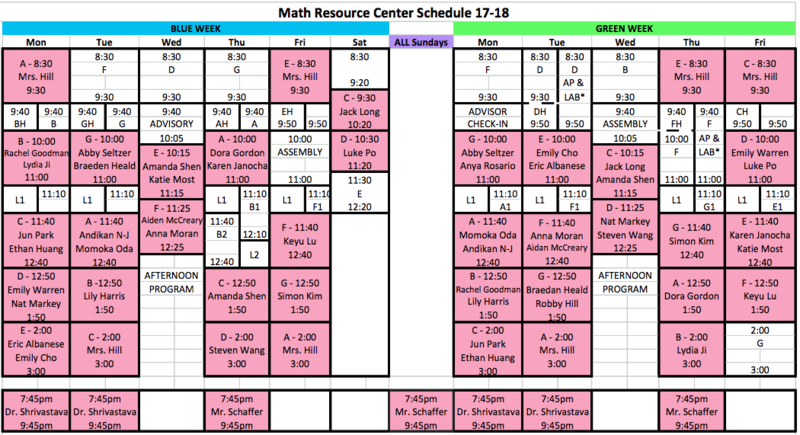 The Math Resource Center Is Open! The MRC is now fully operational in its new location, on the second floor of the library right next to the Writing Center! A student tutor is available during most class periods and a math department faculty member is present on Monday, Tuesday, Thursday, and Sunday evenings during study hall. Drop on by any time! You can learn more about the MRC right here. Three new teachers have joined the Williston Math Department! They all may be new to Williston, but they are not new to teaching. Fun facts: The Williston Math department has a combined 245 years of teaching experience. Each teach in the department has been teaching for an average of 18.8 years! 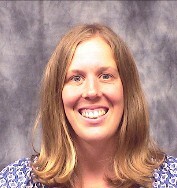 Karla Schaffer – Karla taught math and worked at the Webb School in Tennessee for the last six years. Karla earned a B.A. in Mathematics and Psychology at Mercyhurst University and earned an MEd. in Teaching and Learning from Vanderbilt University. 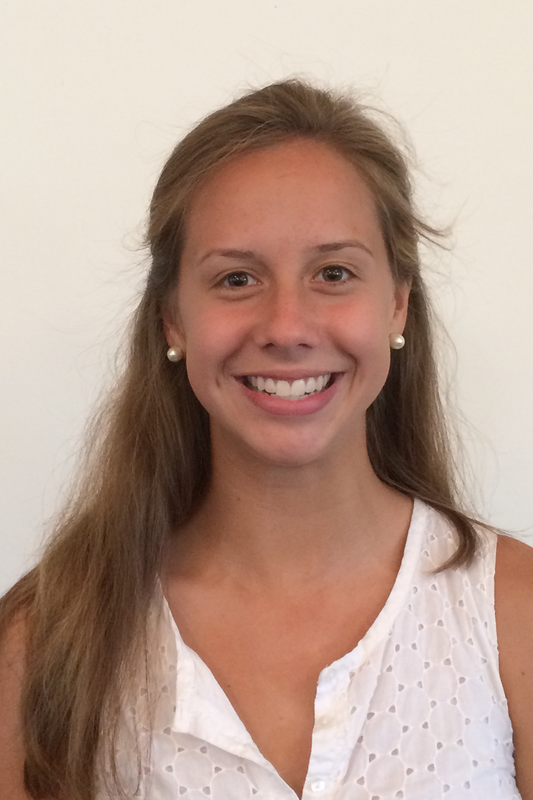 She will coach in the girl’s soccer and tennis programs. Karla and her husband Teddy will live in Clare House. Teddy Schaffer – Teddy is an experienced math teacher who joins Williston from the Webb School in Tennessee. Teddy earned a B.S. in Mathematics and Economics from Furman University and a M.S. in Industrial and Systems Engineering from Georgia Tech. 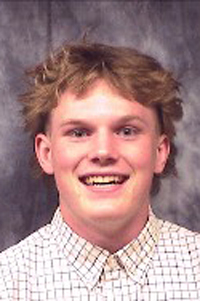 Teddy will teach math, and coach ultimate frisbee and water polo. Teddy and his wife Karla will live in Clare House. Dr. Rajendra Shrivastava – Raj comes across the country from California to join the Williston community. He has taught math, physics, and computer science at both the high school and college level. Most recently, he has been teaching math and computer science in high schools. 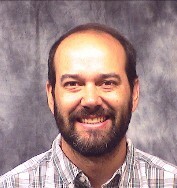 He holds several advanced degrees including a Ph.D in Computer Science from Louisiana State University. 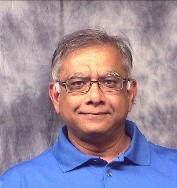 In addition to teaching math and computer science at Williston, Raj will lead the Robotics program and coach in the spring season. Raj will live on Main St. in Easthampton. 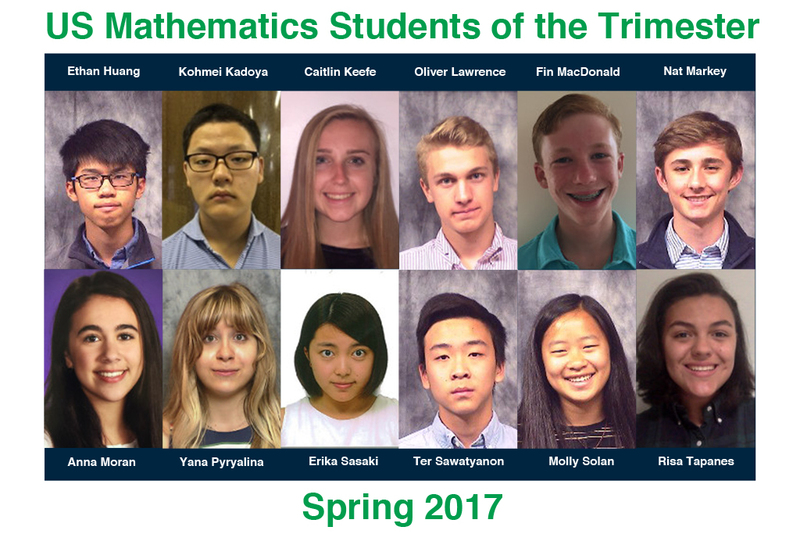 I am excited to announce the Upper School Mathematics Students of the Trimester – Spring 2017! The following students have been recognized as the Upper School Mathematics Students of the Trimester for Spring 2017. Please join me in congratulating these outstanding mathematics students! 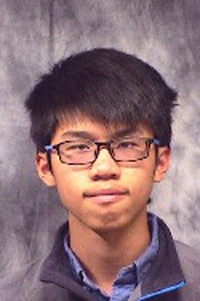 Ethan Huang – Ethan is a very curious math student. He is always interested in fully understanding the concepts behind a problem rather than just knowing how to solve the problem. 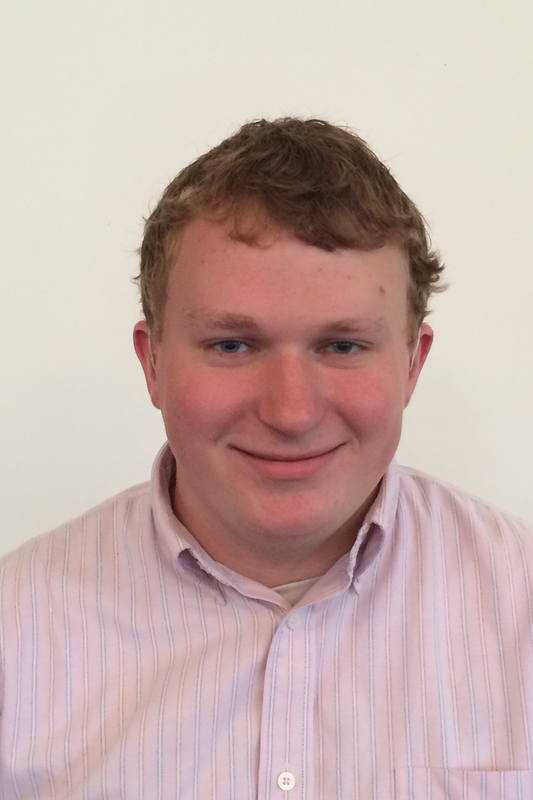 Ethan also is also always eager to help others understand the material as well as he does. 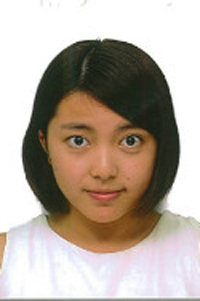 Kohmei Kadoya – Kohmei’s work in the Electronics, Circuitry & Programming course was exceptional. He was well prepared for each class and asked probing questions on topics that required clarity. Kohmei’s classwork in the electronic’s labs and circuit labs was outstanding and included many well thought-out answers and observations. Congratulations to Kohmei for his fine work in this class! Caitlin Keefe – Caitlin did a wonderful job pulling together all of the material that we covered this year. Her average in the third trimester was a full five points higher than she had earned for T1 & T2 – when she already did well! The questions that Caitlin asked and her overall participation set a high level of expectation for her classmates. Very well done – especially for senior spring! 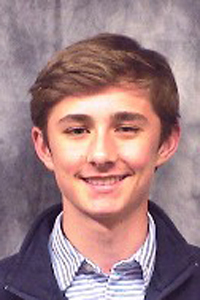 Oliver Lawrence – Beyond excelling mathematically in pre-calculus, Oliver came to be a leader in the classroom. He could always be counted on to posit an answer to a challenging question or to come up to the board to present a solution. 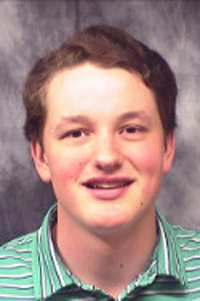 Moreover, Oliver often went out of his way to explain topics to his peers, both in the math classroom and outside the classroom. His patience and dedication to helping his classmates was a great boon for our class. 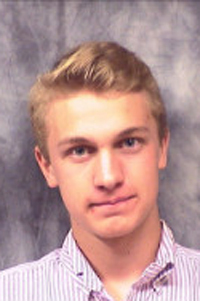 Fin MacDonald – Fin was not only a hardworking student but he also showed a genuine interest in Geometry. He looked at the material in depth every day and always pushed himself and others to do the same. Nat Markey – Nat works incredibly hard in and out of the classroom to master the material taught. He is helpful to those around him and is always willing to participate in class. He is an incredible student and friend to his classmates. 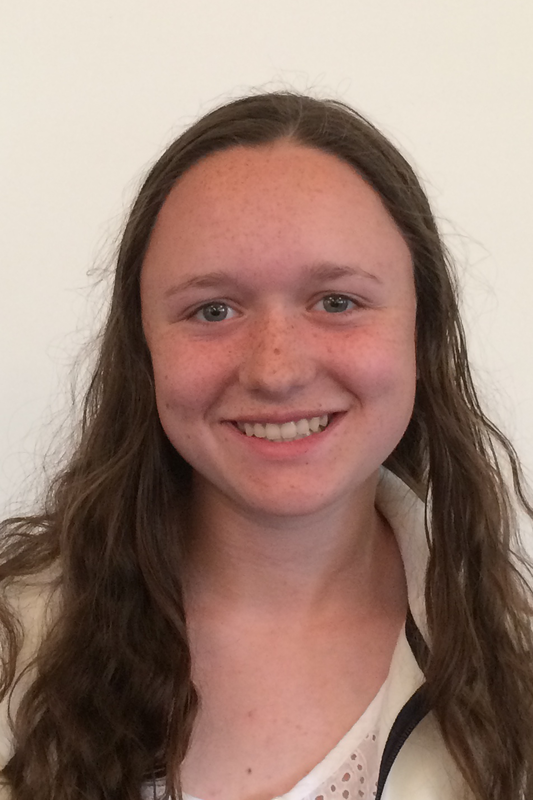 Anna Moran – Anna has just completed a fantastic year in Geometry. She is a diligent student who always strives to be her best. She has a natural enthusiasm for learning and she challenges herself to deeply understand each and every concept. Anna has been a class leader in terms of participation and the energy and enthusiasm she brings to the classroom is contagious. Well done, Anna!!! Yana Pyryalina – Yana did an exceptional job this year as a student in Advanced Programming in Java. Her dedication, excitement, and enthusiasm for coding shined through in all aspects of her engagement with the course. She worked hard to understand the concepts. 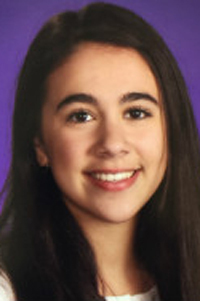 participated in our conversations deeply and fully, and shared her “aha” moments openly with her classmates in ways that demonstrated her generosity as well as her curiosity. She was also an excellent group member and shared her expertise both in class and out. 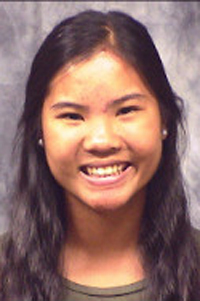 Erika Sasaki – Erika did a phenomenal job at stepping up this trimester! Her work remained remarkably consistent and she did an impressive job helping her classmates as we transitioned into the world of Origami. He careful explanations, patience, and folding technique were appreciated by everyone. Origami is very hard to teach and Erika made the whole process easier! Thank you Erika! Ter Sawatyanon – T did a great job in TPS this year. 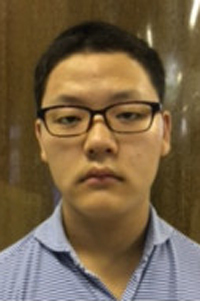 He was the only 9th grader in a predominantly Junior and Senior class. This term, we did a major data analysis and T chose to study health and wealth of selected countries of the World. He worked very hard and discovered interesting insights which he was able to articulate clearly in his final presentation. Great work, T! 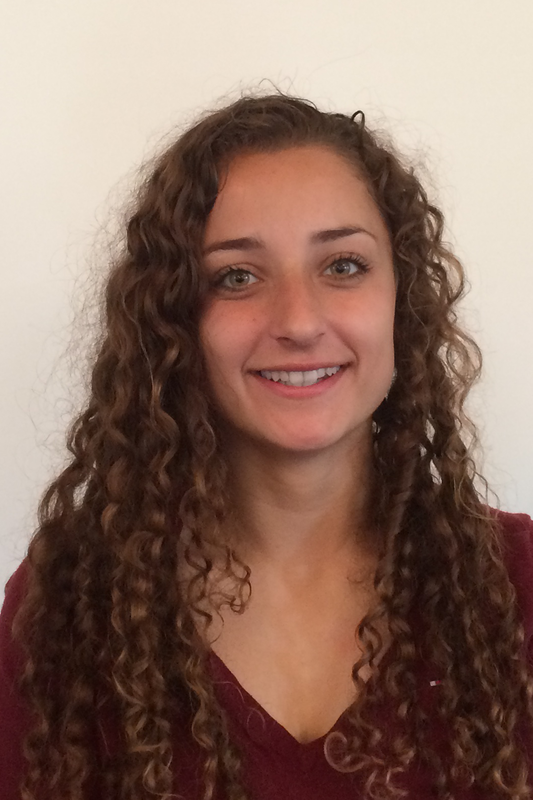 Molly Solan – Molly is always engaged and eager to learn every class. She patiently works with all member of the class and brilliantly explains her own solutions with ease. 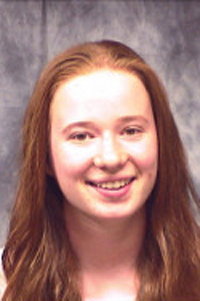 She has performed remarkably all year and is a model Williston student. Molly brings passion and a sense of humor into the classroom and any teacher would be lucky to have her in class. Risa Tapanes – Risa has been so diligent all year. She always does the homework; she sits at the front of the room; she asks questions; she seeks help as soon as she doesn’t understand a concept. She had a lot of success with descriptive statistics this spring, and I so enjoyed working with her. I was particularly impressed when she emailed me two days before the play (for which she was stagemanaging) to tell me that she had worked for half an hour on the homework assignment between scenes but just had not been able to get it all done. She was so apologetic, but I was just amazed she had been able to get started on it at all, given her schedule that week. 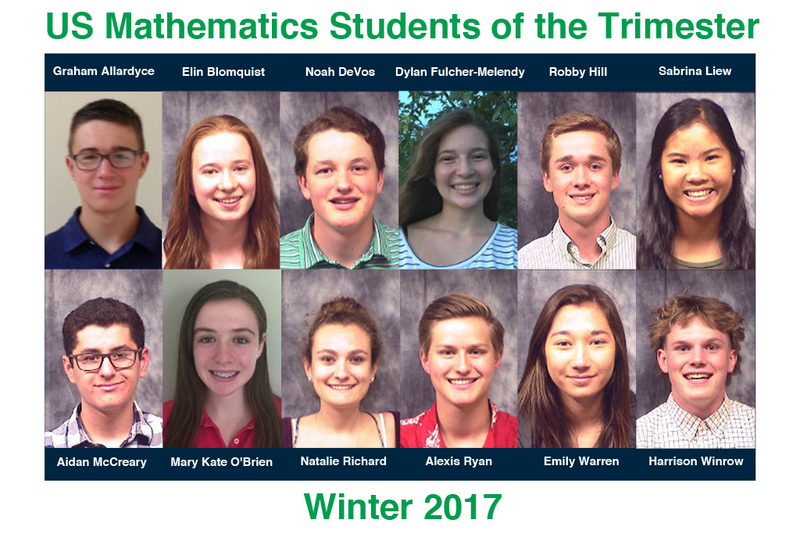 I am excited to announce the Upper School Mathematics Students of the Trimester – Winter 2017! The following students have been recognized as the Upper School Mathematics Students of the Trimester for Winter 2017. 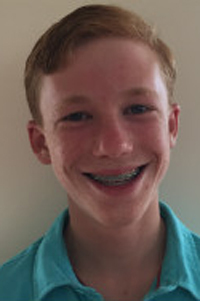 Graham Allardyce – Graham has performed well in Algebra II all year and really shined in trimester two. What impresses me most about Graham is his desire to teach others around them. 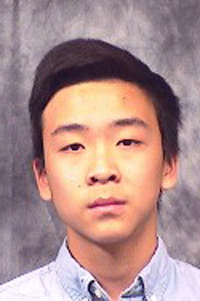 He is frequently helping his peers with their homework and in class during group work. 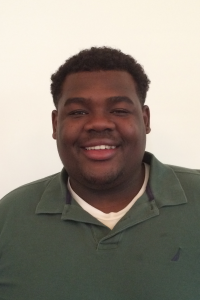 He is a true role model as a student and embodies Williston’s motto of living with purpose, passion, and integrity. 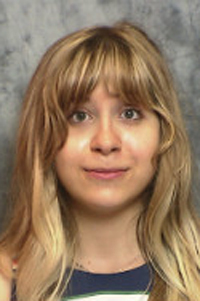 Elin Blomquist – Elin is a natural mathematician, but she started out with some gaps in her background that made the trigonometry unit in the fall difficult for her. Nevertheless, she worked diligently and, by the beginning of winter term, was really starting to emerge as a leader in the class. Then, in the winter term, her facility with mathematics really came through as she showed an intuitive understanding of probability and its applications. She always works hard; she’s always prepared; and she always seeks help as soon as she has any difficulty. She’s a wonderful addition to the classroom, and I so enjoy teaching her. 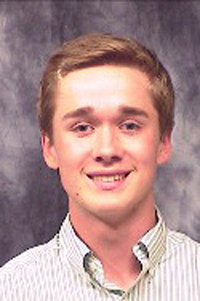 Noah DeVos – Noah has been one of the most consistent and highly motivated students in AP Statistics this year. He always gets an early start on homework and ask insightful questions during class. 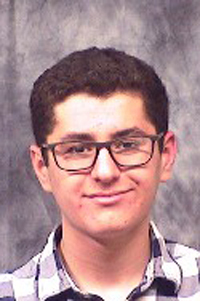 He supports his learning with excellent study skills and works hard to understand the underlying principles of probability and statistics. His frequent contributions to class discussions show me that he is willing to take responsible risks in order to further his understanding of some very challenging concepts. He always brings insight to our conversations and serves as an excellent model for other students. 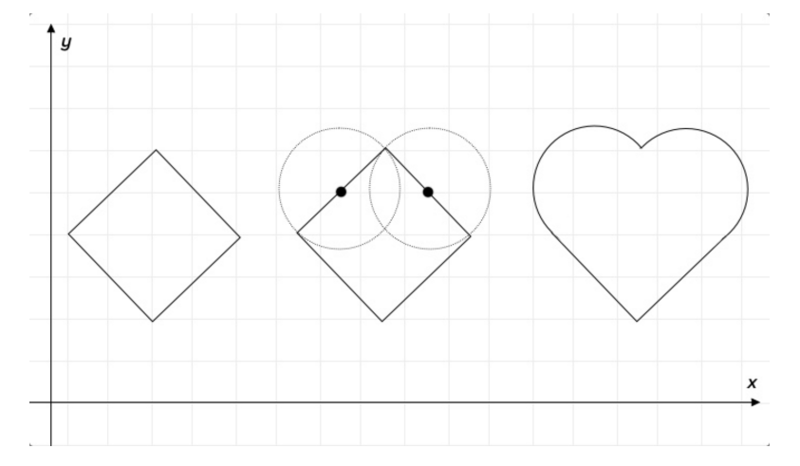 Dylan Fulcher-Melendy – Dylan has become an impressive student of geometry. She has excellent deductive reasoning skills and enjoys creating proofs. A wonderful classmate to her peers, Dylan can explain how problems tie together in clear, concrete steps. Her attention to detail is outstanding and she is relentless in her pursuit of knowledge. Despite outstanding test and quiz results, Dylan has never missed an extra help opportunity even if she has to sprint from squash practice in the freezing cold. Congratulations, Dylan, on your selection as math student of the trimester and thank you for your positive impact on our class. Robby Hill – Robby showed great determination and work ethic this past term. We learned new intense material that challenged him. Instead of settling for an okay grade and understanding of the material, he went home, searched for practice problems and past tests on the topic, and mastered his understanding of the content. This is the definition of an honors student! His work ethic, determination, and constant class participation is why I chose him. 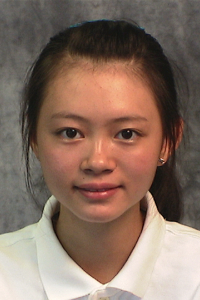 Sabrina Liew – Sabrina did an outstanding job this trimester, dedicating herself to fully understanding the material. Her end of term project with Destiny was well done. Her last two quizzes and last test were perfect and she had a near perfect assessment. That accomplishment came because of Sabrina’s hard work. She regularly came for extra help and asked questions in class. 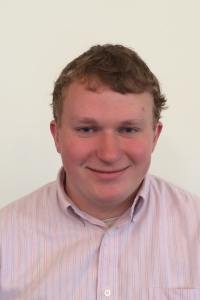 Aidan McCreary – Aidan has consistently set the bar high for the quality of work submitted in this class. He is always well-prepared and asks questions that help him (and the class) to understand the finer points of robotics and programming. His Engineering Notebook is highly-detailed and carefully completed. Aidan is certainly a joy to have as a student! 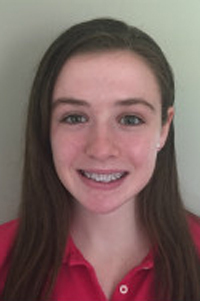 Mary Kate O’Brien – Mary Kate is always attentive and engaged in every activity every day. She enjoys the challenge of every problem and her approach to class has been contagious with her peers. 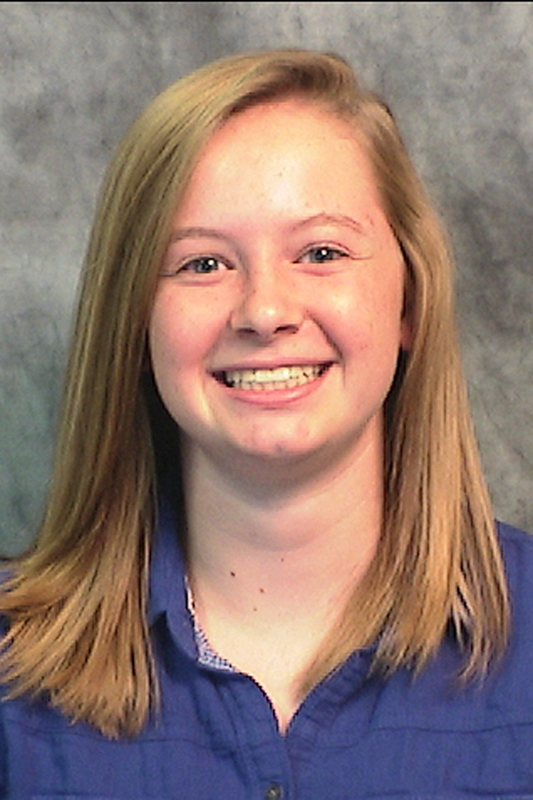 Natalie Richard – Natalie has maintained a remarkable level of success throughout the entire class. Her work is impeccably organized, her focus never waivers, and she readily works with others. She also never takes her abilities for granted, always coming into all assessments more than fully prepared. She helps anchor the class and move us through particularly challenging material. All the while she is always humble about her abilities. 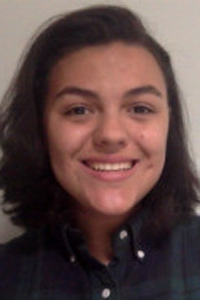 Alexis Ryan – Alexis was a diligent student, an engaged member of the class, and a determined and creative game designer. She executed the assignments of the class thoroughly and pushed herself to extend her understanding through each project. I was particularly impressed with her final project and how fiercely she worked toward accomplishing the very challenging design she chose for the game. 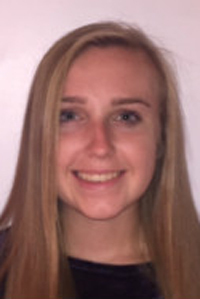 Emily Warren – Emily has been a consistently strong student throughout the year. She is very inquisitive and always willing to lend her insights into the material with the rest of the class. She is able to learn material quickly and apply what she has learned with great confidence. Harrison Winrow – Every day, Harrison arrives in class with a cheerful attitude and an eagerness to learn more mathematics. His engagement in class is exemplary. Not only does he go out on a limb to answer challenge questions, but he frequently posits his own questions: Why does the function behave that way? What would happen if we changed that piece of the function? His questions have raised the level of discussion in class and helped create a vibrant mathematical classroom. Last Fall, all Williston students filled out course evaluations. 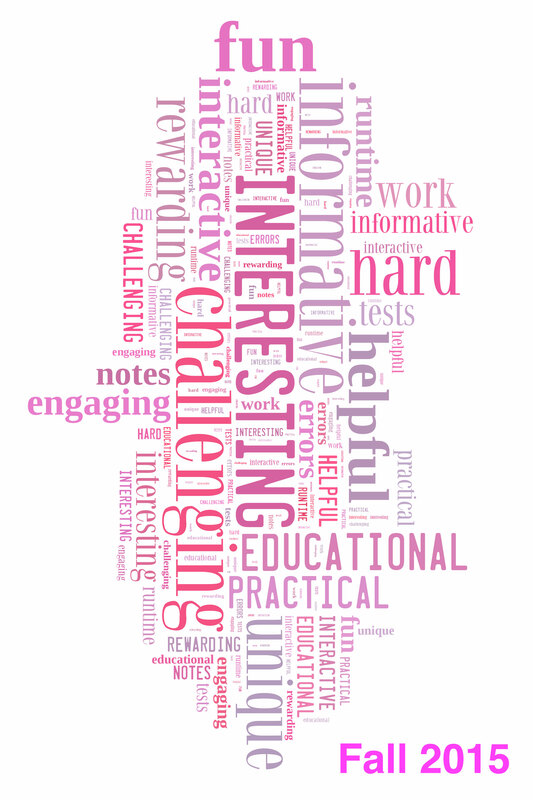 On those evaluations, each student was asked to pick the three words that best describe their math class. Here’s a word cloud made from the submitted words. The larger the word, the more frequently it was mentioned. You can click on the image to view a larger version. Orlee’s Solution Gets Posted by Drexel! 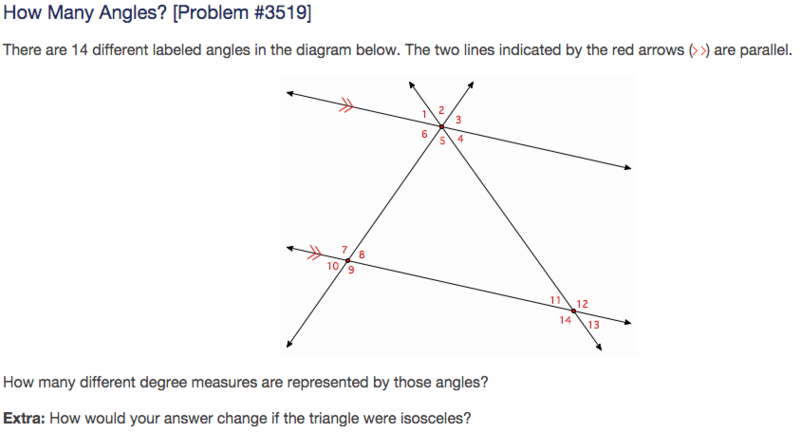 Every week, the Drexel University Math Forum web site poses a math question to their participants. 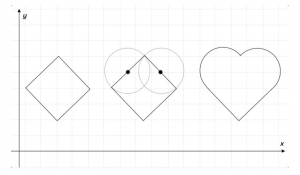 Recently, the site asked their viewers to determine the measures of various angles formed by a pair of parallel lines and two transversals. 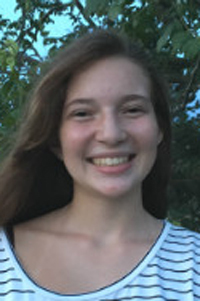 Orlee Marini-Rapoport, an eighth grade student in Kathryn Hill’s Geometry Honors class, used what she had learned in class to solve the problem. Her solution was one of those chosen to appear on the website as an example of a well-reasoned answer to the problem. Orlee used her knowledge of the vertical angles theorem and angles formed by a transversal intersecting two parallel lines to prove her conjecture. There will be 5 different degree measures represented. This goal is to find the angles that must be congruent to one another. First, because I know that vertical angles are congruent, I identified which angles were congruent to which other angles using that theorem. Because alternate interior angles are congruent, 8 is also congruent to 6 and therefore the measures of 8, 6, 10, and 3 are all equal. Also, 4 is congruent to 11, so the measures of 4, 11, 1, and 13 are all congruent. After counting up the different measures, there are 5 different numbers represented. After 32 years at Williston, Stan Samuelson just taught his last class. What a grand career! I am excited to announce a new award, the Upper School Mathematics Students of the Trimester! 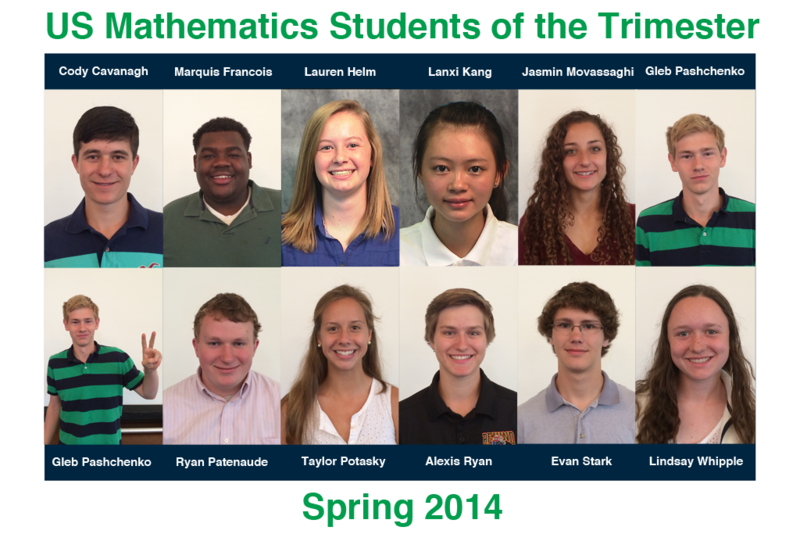 The following students have been recognized as the Upper School Mathematics Students of the Trimester for Spring 2014. 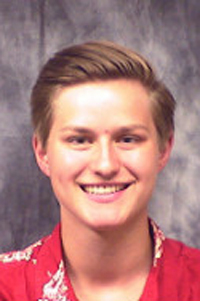 Cody Cavanagh – Cody is my student of the trimester because of the way in which he delves into the intricacies of mathematical concepts. Cody completes all of the more straight-forward problems accurately and then spends his time and effort on the most challenging ones. He has consistently shown skill with proofs, with logical thinking, and with making connections. He has had a great year in Geometry in every way! Lauren Helm – During T3 Lauren has stepped up her already strong math game. She has been even more laser focused in class, has totally dominated recent topics, and she’s a fantastic driver during small group projects. Her mature yet fun-loving attitude has helped stabilize an energetic class. Her work product has been extraordinarily consistent. 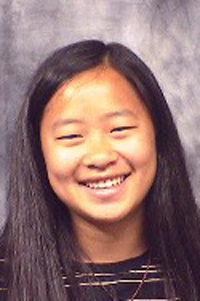 Lanxi Kang – Nancy has excelled in Algebra 2 honors all year. She has thought deeply about each topic that we have covered this year. Each day she has brought the highest level of preparation to class. She has shown a genuine interest in each topic that we have covered and even more importantly a genuine interest in the topic of mathematics in general. Jasmin Movassaghi – Jasmin has been a B+/ A student all year. More importantly than that is her work ethic and commitment to understanding the concepts. She can always be counted on to take risks to answer questions. As important is that she will not allow the teacher to continue if she is the least bit confused. Putting all that together makes her a pleasure to teach and a great role model for her fellow students. Gleb Pashchenko – Gleb is our first ever double award winner! From one teacher: Gleb has done impressive work in AP statistics this year. He has come to understand the underlying principles of statistical analysis. In this course, students learn the language of a statistician and practice interpreting results with quantified measures of uncertainty. 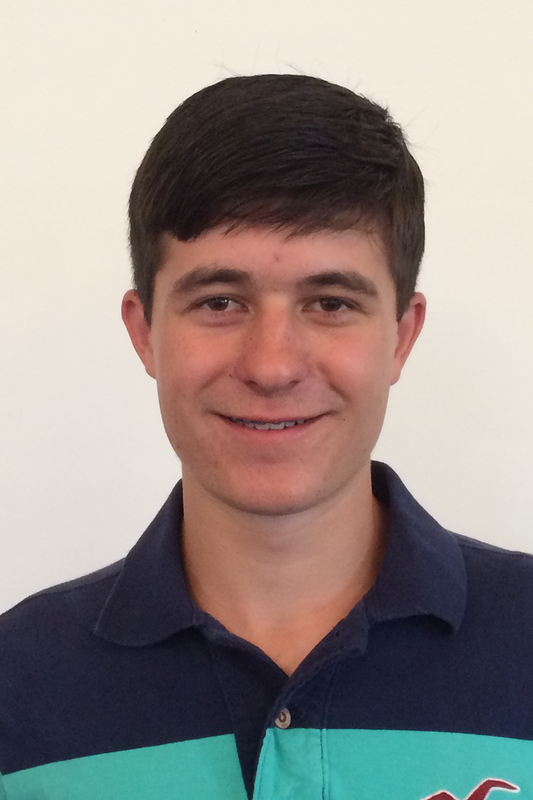 Gleb has been a model for this practice and consistently demonstrates his desire to improve his knowledge and skills. From another teacher: Gleb has excelled in all aspects of this course. 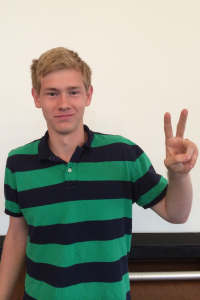 He has had perfect test scores and regularly submits outstanding quality coding projects. Gleb’s attention to detail is superb and he is a joy to have in class. 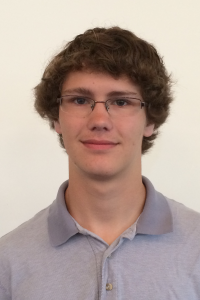 Ryan Patenaude – Ryan is an outstanding math student and has done well all year in pre-calculus. Ryan always answers difficult questions during class, completes his work with thoughtfulness and effort, and helps his classmates frequently. 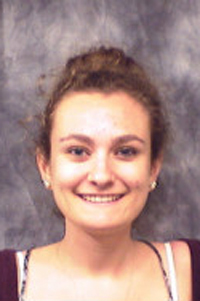 Taylor Potasky – She has been consistently at the top of the class. She works very hard and is always focused and on task. she is one of the most likeable people in the school. Alexis Ryan – Alexis is always engaged and works hard. She has been particularly responsible about staying on top of her work when she has been away from school for outside commitments. She is helpful to the others in the class and helps to keep a fun and positive atmosphere in class. 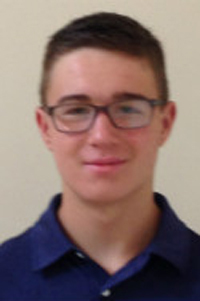 Evan Stark – Evan has been a very consistent student all year long. This trimester, he has been nearly flawless on all of his assessments. In class, he is always well focused and engaged in our discussions. He has been a leader, and has helped the class move forward on a daily basis. 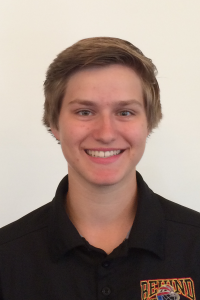 Lindsay Whipple – Lindsay has been a diligent worker in every aspect of Geometry. Always focused and on task in class, Lindsay enjoys a challenge. She has battled through the demanding questions of the third trimester by drawing on previously learned concepts while looking for new ways to solve a problem. Her work is accurate and she has learned from the few mistakes she has made this semester. I commend her determination to be her best!